Shell Ferrari Collection V-power 360 GTC F2008 FXX 599 GTR Set of 4 Cars !!! 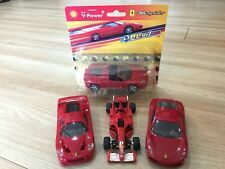 Shell Ferrari Collection V-power 360 Spider... Set of 4 Cars !!! Shell Ferrari Collection V-power 360 430 FXX 599 GTR 612 F2008 Set of 6 Cars !!! Shell Ferrari Collection V-power 599 GTB Fiorano Cars (Not transformers) !!! Shell Ferrari Collection V-power F430 Cars (Not transformers) !!!!!!!!! 1 (one) Chase Briscoe 2018 Ford F-150 Eldora Truck Win Die Cast. - 1/24th scale, hard top. Injection molded with paintwork in original BMW colors. BMW logo lettering visible everywhere. Scale: 1:43. Shell Ferrari Collection V-power Enzo Cars (Not transformers) !!!!!!!!! 2002 Brookfield / Action Dale Earnhardt Jr. Budweiser Crew Cab and Show Trailer 1/4480. 1/24 scale. Nice looking piece! 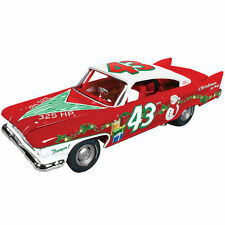 DRIVER:KYLE LARSON. FEATURES: CLEAR WINDOW CAR. HOOD DOES NOT OPEN. Used as a display model. You are looking at the VERY RARE NASCAR DIECAST of the Kyle Busch 2016 Snickers Halloween #18 Joe Gibbs Camry SPRINT CUP race car.1/64 scale limited edition, exclusive by Lionel. The box is in good condition. It does have shelf & handling wear. Racing Champions Jeff Gordon 1995 Pit Stop Show Case 1:24 Scale. See pictures for condition of box. 1:24 Dale Earnhardt Jr 2004 Dave Matthews Band / Budweiser Chevy Action Car. Used as a display model. Box may show slight signs of wear. 2011 Greenlight 1970 Dodge Challenger R/T 1:64 adult collectible car. This is a very nice piece. It was removed from my personal collection and it is in good shape. It has the opening hood with the 5.9 Magnum motor installed. In 1997 the HAV A TAMPA series was the hottest thing going..100 lap features and $10,000 to win every night...this dvd has all the heats of the late modes and modifieds...plus the modified feature and the 100 lap feature....big names in this race include billy moyer, donnie moran, freddy smith, bob pierce, dale mcdowell, john gill, terry muskrat, willie kraft, kevin gundaker, wendall wallace, earl pearson, mark minor, bill frye, johnny virden, ray cook, ..just to name a few....relive the big half mile in granite city ill.! JEFF GORDON 2006 MONTE CARLO. You are looking at the NASCAR DIECAST of the Joey Logano 2016 Fleetwood RV Ford Mustang #22 Penske Xfinity race car..1/64 scale limited edition, exclusive by ACTION.. MINT condition in MINT box.New, never opened. DRIVER:KYLE BUSCH. FEATURES: CLEAR WINDOW CAR. HOOD OPENS ONLY. 1:18 SPRINT CAR #2a BOBBY ADAMSON UNIQUE DESIGNS 1 OF 2508 CAR IN NEAR MINT AND IT HAS BEEN DISPLAYED IN GLASS SHOW CASE. 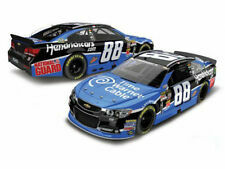 FEATURES: LIONEL HAS CHANGED THE ENGINE DETAILS OF THEIR DIECAST TO GET TO A LOWER PRICE. DRIVER:JOHN FORCE. SCALE: 1/24th. CONDITION: CAR AND BOX ARE NEW. JEFF GORDON HAND SIGNED 2018 DUPONT 98’ ATLANTA RACE WIN NASCAR 1/24 CAR!!!!!! !